The next clinical meeting and our final one for 2015 is on ‘goal-directed fluid therapy’. A recent article in A&IC has shone light on the topic again. However, not all studies on GDFT have shown improved survival figures. Nathan Hand from Edwards will be profiling one of the latest non-invasive devices and sponsoring the meeting. I have asked Adrian Skidmore and Hugh Stephens to give short presentations on where they think GDFT fits into our current clinical management. (they just happened to be in the hospital at the time!) Please come along and join the discussion. We have missed our “What I have learnt in 2016” this year which was a combination of conference reports and journal club. Please let me know if you did find it useful in past years? Any suggestions for next year? Do we need a massive blood transfusion workshop? Anaphylaxis? ACLS? CO-CO? Both Pindara and Allamanda are getting a little jittery on compliance matters and may be pressing for more meetings directed at clinical indicators and M&M. They are even talking of tying accreditation to attendance at these meetings! Our independent safety committee, chaired by Nick Crimmins probably needs to occur more than once per year as well. All the best for the festive season and 2017. This is an issue that we have to deal with every day, and have frequently raised with local hospitals. To add to the confusion suppliers, and hence presentations, are often changed without notification. 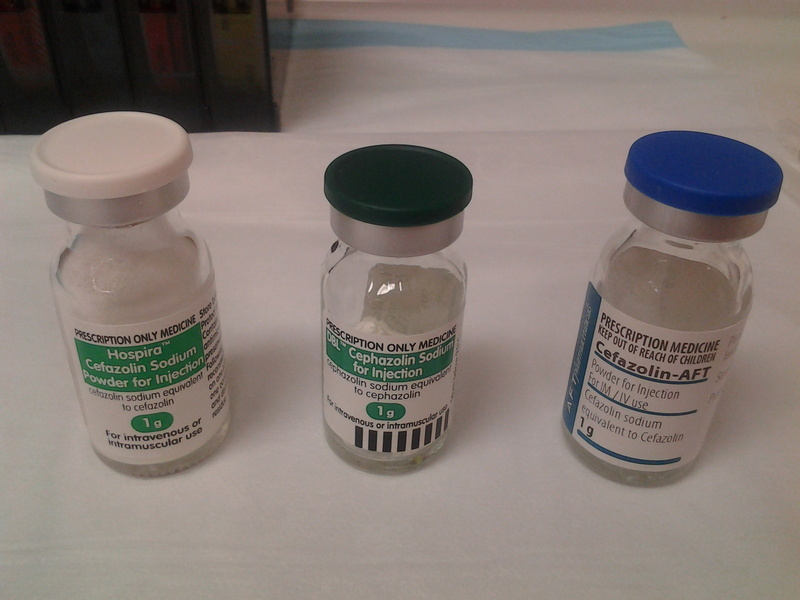 I recently found this trio huddled together in the drug trolley. The manufacturers can’t even agree on the spelling! EZDrugID is a global campaign to improve the safety of medication packaging initiated by a multi-professional group of healthcare workers. Petitions to the relevant regulatory bodies to implement changes to drug packaging have been established in Australia, New Zealand, the United Kingdom, the United States & South Africa. MDA national are sending up a speaker (medical) for next Friday’s meeting on medico-legal aspects of the Internet and electronic communications. They are catering for 12 attendees. Please try to get along to make their effort worthwhile.